In case you were holding your breath, were on the fence, or just needed another excuse to take a look at Nikon's mirrorless Z 6 or Z 7 model, now your purchase includes the FTZ adapter for free when purchased within the US. The FTZ adapter is now to be included with your new camera body purchase. This is great news for those who have been thinking about Nikon's first entry into the world of mirrorless cameras, as having access to the FTZ adapter right out of the box at no additional cost means that your existing lens lineup is good to go right away. Previously, the adapter was being sold at $250 (though many stores offered discounts on the adapter when purchasing the Z 6 or Z 7 anyways), so if you are planning on using the lenses that you already have with the new camera, this is similar to a $250 discount. 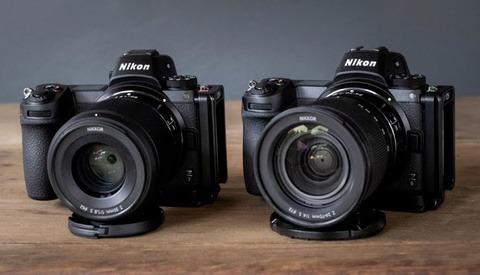 This is great news for Nikon users considering a mirrorless option while wanting to stick with the Nikon brand. Admittedly, this announcement in a bit of a no-brainer, as asking people to shell out extra money for an accessory that's arguably a staple as the current Z lens lineup is fairly limited tends to rile folks up. This is welcome news, and if you've not at least taken a look at the Z series, now is a good time to do it. It should have been included at the introduction! I can tell by all of the marketing I've received lately that sales must be seriously lagging. Despite the full-court press from Nikon ambassadors I am not surprised sales are lagging. You can't put lipstick on a pig no matter how many free accessories you pile on. what's wrong with the Z series in your opinion, and what camera body do you use now? You didn't ask me, but I currently shoot a Nikon D750. I'm not moving to any mirrorless system until there's a very compelling reason. you're right, i didn't. but you didn't actually answer the question anyways, so all's good. Sorry, but I can't comment on a camera that I've never used. I'm guessing that the compelling reason is going to be that they're likely going to stop producing new DSLR bodies in a generation so if you want anything remotely current, you're eventually going to HAVE to move to mirrorless. In Nikon's case, I highly doubt that they will be bothered to refresh anything after the D6 is released. I guess you can always hop onto the D850 or a D6, but even those will be outdated in the next 5 years. The other compelling reason (more important for me) is that Nikon's new Z-mount lenses are way better than their F-mount lenses. I didn't think that the difference would be all that great, but seeing the actual results, the disparity is pretty jarring at every aperture. If they keep this up, then switching really becomes a no-brainer. I can't comment on the quality of the Z-series lenses. As far as eventually "having to" switch to mirrorless, I have no doubt about that. The timing, however, is up to us as photographers. I liken it to electric and autonomous cars. I'm nowhere close to wanting, let alone "needing" one, but at some point, I'll have no choice. Until there's a compelling reason or that point is upon me, I have no need to change. Interestingly, Nikon has a patent for a hybrid DSLR/mirrorless, and I'm interested to see if they pursue it. It certainly would make a lot of sense, given their massive amount of F-mount lenses. Here's a list from dpreview i don't have time to write it all as there are too many but if there is one thing colleagues have found lacking in z7 is af. i have Nikon DSLR system but use the Sony A9 with Sony/Zeiss lenses for a majority of my work now due to the silent shutter, iso performance, speed, and it's 4k video capabilities.... It was a business decision that has easily paid itself off. I think the same must be true of the Canon EOS R. I've seen lots of bad and lukewarm reviews, but the ambassadors are out in full force. The D850 is one of the best cameras out there. 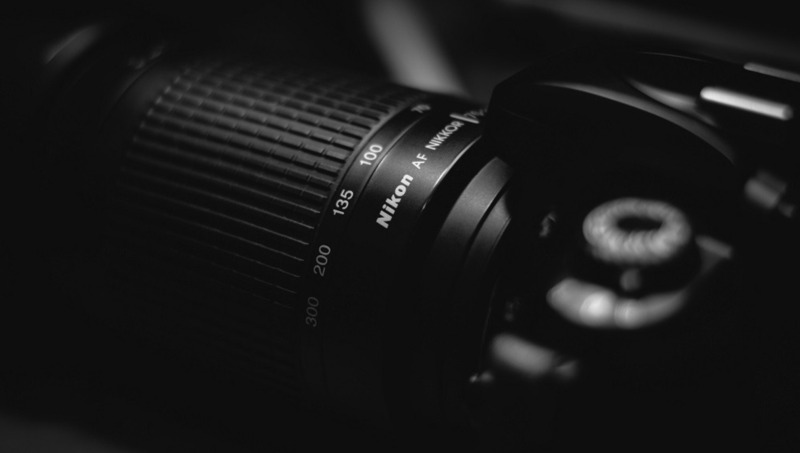 If it is one of the last DSLRs they produced they can be proud of what they achieved. The Z-series is a disappointment. I have colleagues who have purchased the Z6/7 and will use DSLR for critical work especially for better af. I like my Z6, I got it as a B-camera for video. But I can see photographers being uninterested. Yeah, I couldn't care less about video, and I'd guess that many video shooters feel similarly about stills. That's why I'd prefer to buy just a stills camera and not pay for video functionality that I'll never use. I get that we live in a hybrid world, but a guy can dream. B&H also has a free QXD card as an option. But it looks like you have to choose: free card, or free adapter. i've been considering going with either the GFX-50S or Nikon Z 7 as a dedicated camera for landscape photography. this only makes the Z 7 more appealing since i'd have to adopt a new lens and memory card ecosystem if i went Nikon. as much as i like the D850, the Z 7 has the edge for me with its ability to adopt future Z lenses. while i shoot Fujifilm now, i've been a Nikon fanboy for decades, being the aspirational brand for me as a child like Leitz is for many. I'm a few generations away of Nikon mirrorless. I'll let early adapters help Nikon figure out how to evolve their technology. Thanks but no thanks... I'll stick with my full frame until its a no-brainer. I do understand it's the way to go, but not yet for as I'm invested in Nikon full frame body and glass. I'd imagine there are countless Nikon shooters in my boat. That said, not throwing in the adapter from the get-go was not a wise move. Umm.. Nikon mirrorless is full frame. And camera tech is just so good these days it's hard to justify upgrading at the rapid pace of all these new releases. I'm not surprised if the Z or Canon R series have been slow sellers. They were late to the party afterall, but I'll happily take a discount when I'm finally ready to bust out my credit card! This is something that should have been done from the start. Nikon users are too savvy to purchase these duds in the numbers Nikon expected. 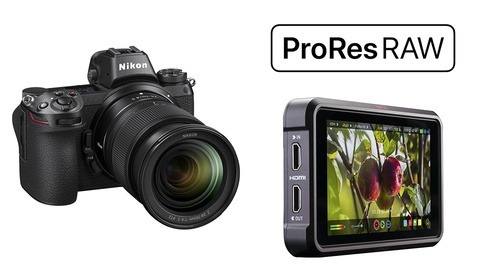 Nikon is insulting its customers with these products. Soon they will be offering a free meal(limit 1 per household) at Golden Corral with purchase of Z7. I wouldn't call them "duds". They're first gen products with obvious growing pains that you might expect from a company's first try at something new. You can focus group things all you want, but chances are that when the actual product hits the market, things aren't going to be received the way you thought. Sadly they are charging way more for an inferior product. z7 is 3400 while a7riii is currently 2800. Oh, I don't disagree. I certainly wish the Z7 was better, but it isn't as if they can make a phone call to Sony and ask them for help. In terms of build quality, I think that the camera is actually quite good and far better than Sony's offerings, but I imagine we can all agree that the actual features of the camera leave something to be desired when compared with something like the A7RIII. They're trying to figure this thing out largely for themselves so just like Canon, it was always going to be rough the first shot. Unfortunately for Nikon, unlike Canon, they decided to start with pretty high end (expensive) bodies. Canon could explain away a lot of their first-gen problems with the fact that the bodies are lower end, but Nikon shot themselves in the foot a bit by not giving themselves that buffer. If Nikon was releasing a groundbreaking invention like the iPhone, I would cut them slack. But they could have looked at the 5 years of Sony products as a guide on what to do and what not to do. And bad AF is a dealbreaker. Buying a whole Z kit is very expensive and even more expensive when you miss an important, unrepeatable shot for a client. You're assuming that Nikon had the technology to release good AF. Maybe they didn't. After all, their Live View AF in their DSLR's has always been very weak and I highly doubt that other companies are going to jump in and help them out. I think they did look at Sony products and that's why they released a better built camera with better ergonomics and weathersealing. The problem is that just because another competitor has certain technology doesn't mean that you can automatically cut and paste it into your product. You have to develop it for yourself and while Sony has been working on their technology and refining it for years, Nikon and Canon just jumped into this pool. It's going to be a while before they catch up. Also, if you're a professional that can't afford to miss a shot, then I don't think that any first gen product makes sense to adopt. 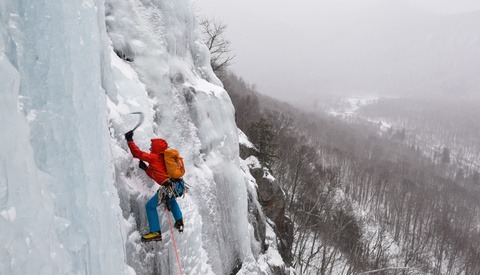 As a professional in such a situation, reliability and familiarity with you gear takes precedence over everything. That's why we still have professionals using the Canon 5DmkII in the field even though it's not a great camera by today's standards—because it's something that they know. Sadly this is most probably true. Sticking with Nikon is like being a Mets fan -- you are living in a state of perpetual hope that they will get their XXXX together THIS year. I could not wait anymore and so glad I switched to Sony especially today with a9 v5 firmware update. What is very sad is Nikon ambassadors fruitlessly trying to endorse the camera that has some inexcusable flaws.. Nikon had hits with the D1. D3(touted as having such sharp sensor that a sports photographer once said you could see the "veins in the pitcher's eyes") and 850. I hope they can regain that magic in the mirrorless world. "Sticking with Nikon is like being a Mets fan -- you are living in a state of perpetual hope"
LOL! That's a good one. I think they'll get their feet under them, but it'll take time. For what it's worth, I thought they consistently made better DSLR's than Canon toward the end there. I did the Nikon to Sony thing, except for me it was the A7RIII. Now I'm back to the Z7 simply because I couldn't get along with using the Sony. To each his own. Why free just within US?? There are countries out there that have murderous VAT's on all this equipment and providing the ridiculously overpriced $250 adapter for free would be more than a welcome, dare I say, fair gesture from Nikon. Whoever priced this adapter at $250 is a sadist. How about the rest of the world, eh?? F...k you, Nikon. Seriously. As if the prices of Z lenses aren't insulting enough. I don't have the cash to be plopping down on all these cameras coming out. I find what works and I use it until I can't use it anymore.